A setting of the 110th Psalm for SATB soli, chorus and orchestra, lasting over an hour. 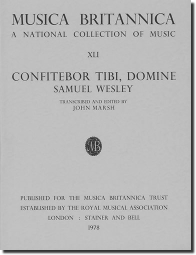 This volume makes available a key work in the output of this unworthily neglected 19th-century composer, and offers a major addition to the English choral repertoire. Performing material is available for rental.